This large cohort of patients treated with the dual therapy COMBO stent has showed excellent outcomes after one year (MASCOT Post Marketing Registry). Long term follow up is still ongoing. 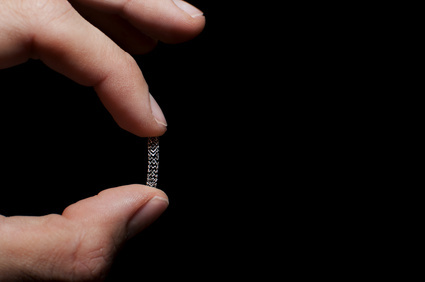 The COMBO stent is a new device with an abluminal sirolimus biodegradable polymer and a luminal layer of antibodies that promotes endothelial healing (anti CD34+) which attracts circulating endothelial progenitor cells. These progenitor cells can rapidly mature into normal endothelium, which allows rapid healing. This study included the MASCOT (Multinational Abluminal Sirolimus Coated biO-engineered stenT) with 2614 patients from 61 centers and the REMEDEE (Randomized study to Evaluate the safety and effectiveness of an abluMinal sirolimus coated bio-Engineered StEnt Post Market Registry) with 1000 patients more from 9 European centers. Both registries included patients prospectively with few exclusion criteria, mostly all comers, receiving the COMBO stent. Read also: Pulmonary Artery Denervation Starts to Show Results. It looked at target vessel failure at one year (combination of cardiac death, target vessel myocardial infarction and clinically driven revascularization). The study analyzed 3614 patients (63.5 ± 11.2 years; 23.8% women) 29.3% had a history of diabetes and 54.3% presenting acute coronary syndrome. Primary combined end point occurred in 3.9% of patients with 1.6% cardiac death,1.2% target vessel myocardial infarction, 2.2% clinically driven revascularization and 0.5% definite thrombosis rates. Read also: Cost-Effectiveness of TAVR in Intermediate-Risk Patients. Insulin dependence in diabetic patients, chronic kidney failure and lesion complexity were event predictors. A luminal antibody layer, as well as finer struts, seem to be the future of these devices, since biodegradable polymers, even though present in nearly all devices, have shown significant differences with permanent polymers. In the limus family, when it comes to antiproliferative agents, there seems to be no clear difference between the alternative drugs (all clearly effective) which is why future developments will most likely go in a different direction. Original title: 1-Year Clinical Outcomes of All-Comer Patients Treated with the Dual-Therapy COMBO Stent. Reference: Robbert J. de Winter et al. J Am Coll Cardiol Intv 2018;11:1969–78.